Shoe That Fits You is a homegrown online shoe store for women that has everything from sliders to sneakers in fun prints and fashion-forward designs. Run by two sisters, Kinjal and Prachi, with a united passion for shoes, Shoe That Fits You has quite the range for all the ladies out there who take their footwear seriously–like OOTD-level seriously. 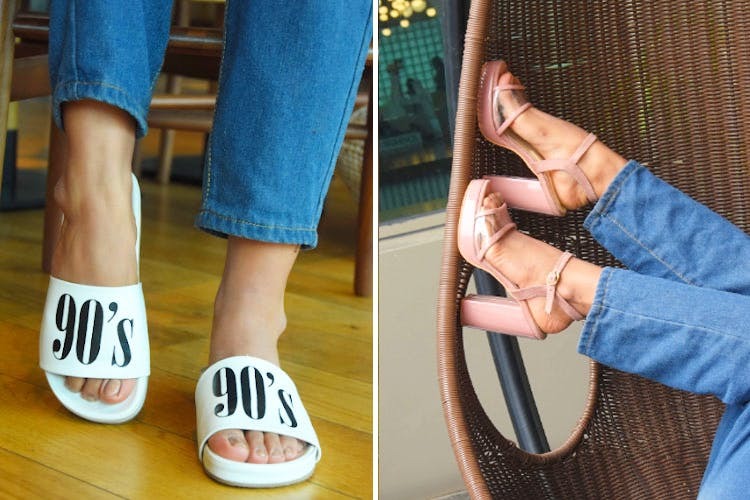 They've got '90s' printed sliders for the 'only 90s kids will remember this' crowd, 'Blah blah blah' ones for the days when you just don't give a damn, sneakers to make those weekend nights-out comfy, and heels for the special occasions in your life. They've also got wedges, mules, and loafers. Their range start from INR 999, so you won't be burning a hole in your pocket–affordable fashion FTW? They don't have a return policy, so do make sure you're making a purchase that you actually want to. However, they will exchange your product in case of sizing issues, but that will also take 15–20 days.